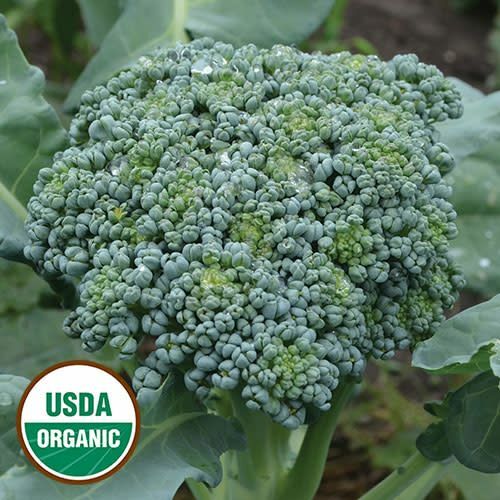 Italian broccoli introduced to U.S. gardeners in 1890. Compact 2-3' plants produce a 4" central head. After the central head is cut, many side shoots will form. Very early, great for freezing. 48-85 days from transplant.